The Paris Saint-Germain left-back has revealed how his teammates at the French capital aren’t completely convinced that the defender comes from Brazil! 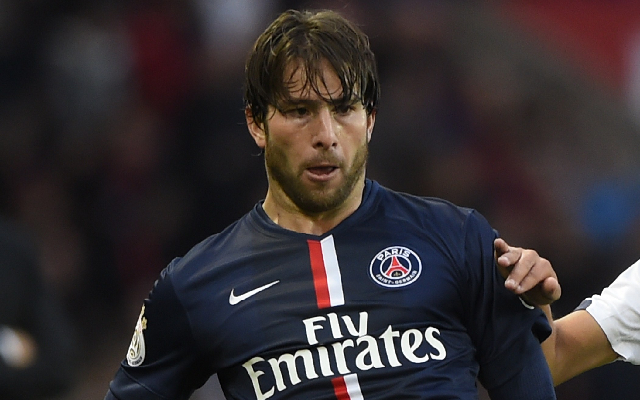 Paris Saint-Germain left-back Maxwell has explained why he has been given the nickname ‘the Swede’ in the PSG dressing room. The Selecao international explained how he often finds himself the brunt of the jokes of the PSG team due to the way that he doesn’t fit the Brazilian stereotype. “I am a very simple and a shy person,” Maxwell began, speaking to L’Equipe, “when everyone makes jokes, I find myself laughing as much as talking. This is just the way I have been brought up. “Brazilians dance everywhere unlike me,” he continued, “I am calm. Maxwell was present on Saturday as PSG comfortably bested Lens 4-1 in Ligue 1. While this result put Laurent Blanc’s side at the top of the French table, they were overtaken by Olympique Lyonnais on Sunday following OL’s triumph over Montpellier.